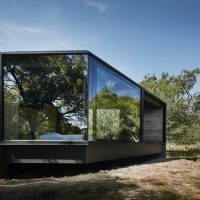 Jost Architects have designed the Über Shed in Australia’s Mornington Peninsula located in the state of Victoria. 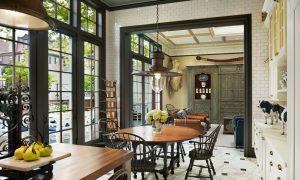 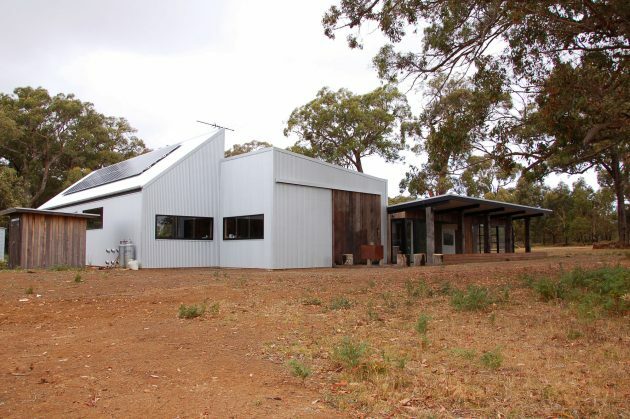 This rural retreat has a strong connection to the astounding surroundings, merging the pragmatism of an outbuilding with the appeal of a modern living space. 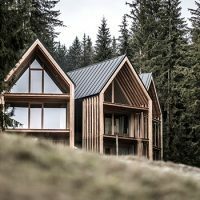 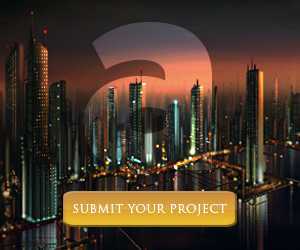 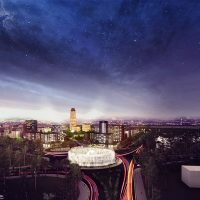 The design of the building forms an L shape, maximizing the views of the impressive landscapes from the valley to the north. 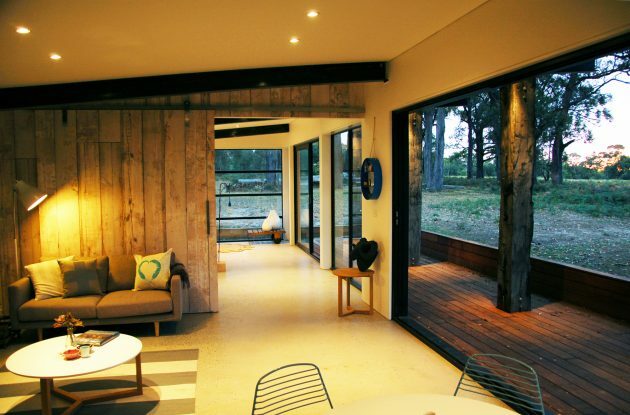 The interior compliments the simplistic design with raw yet neat finishes. 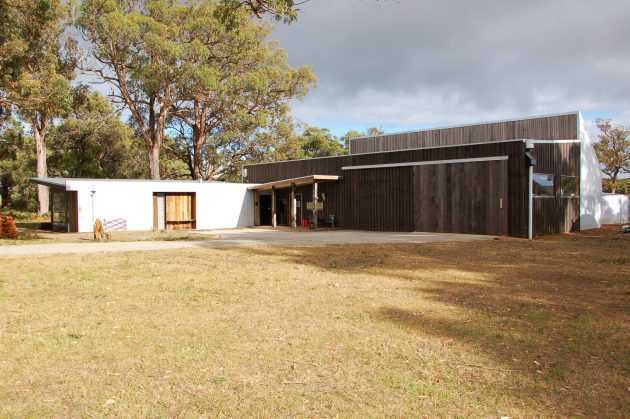 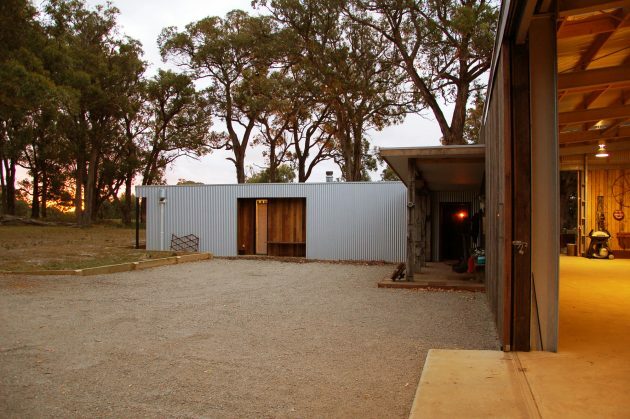 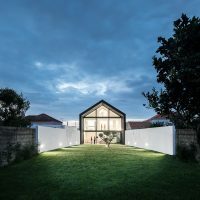 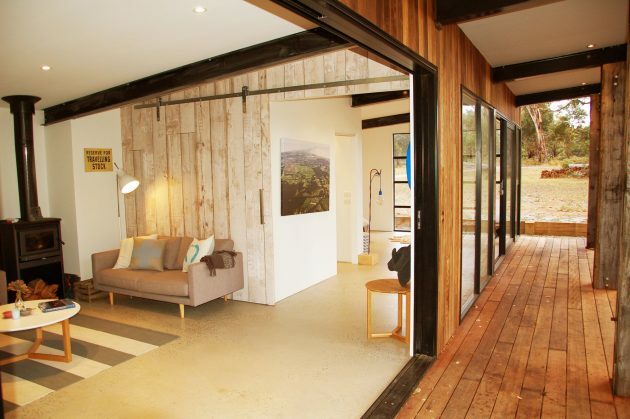 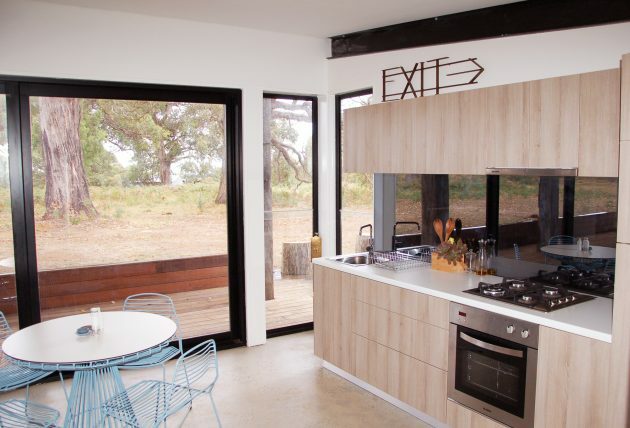 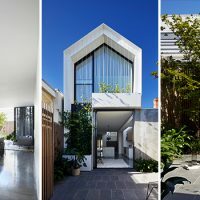 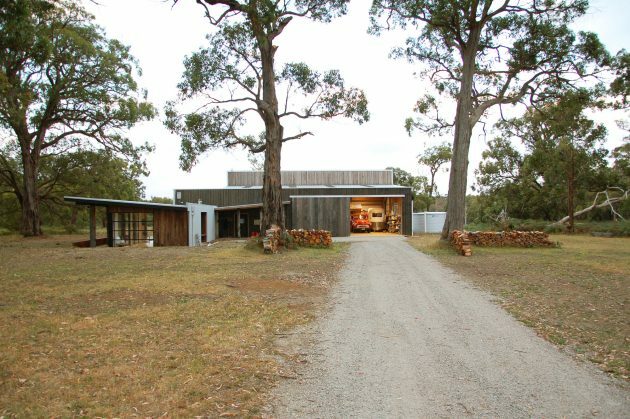 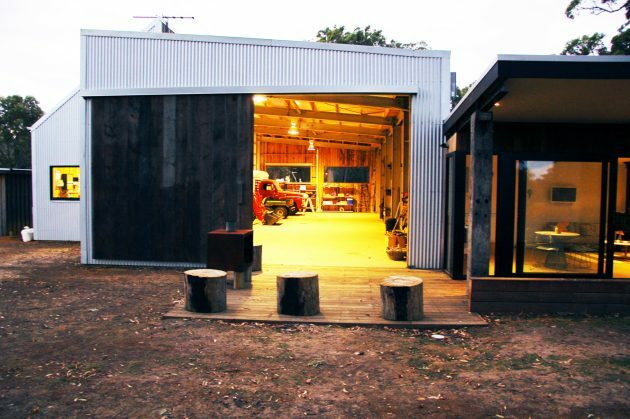 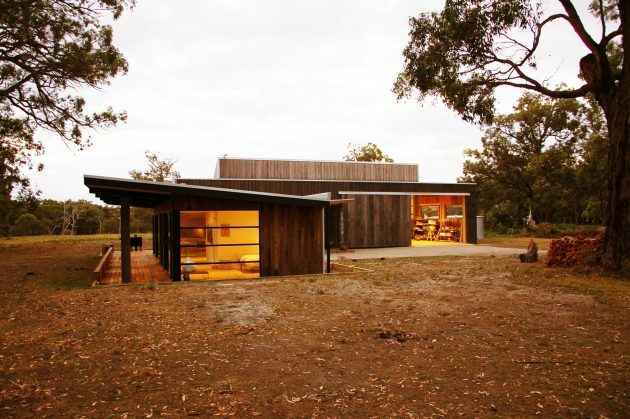 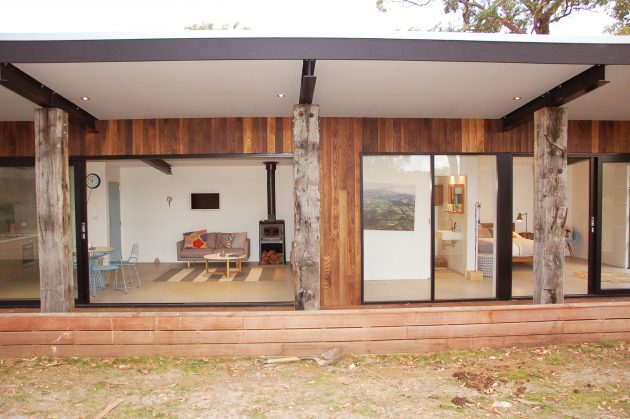 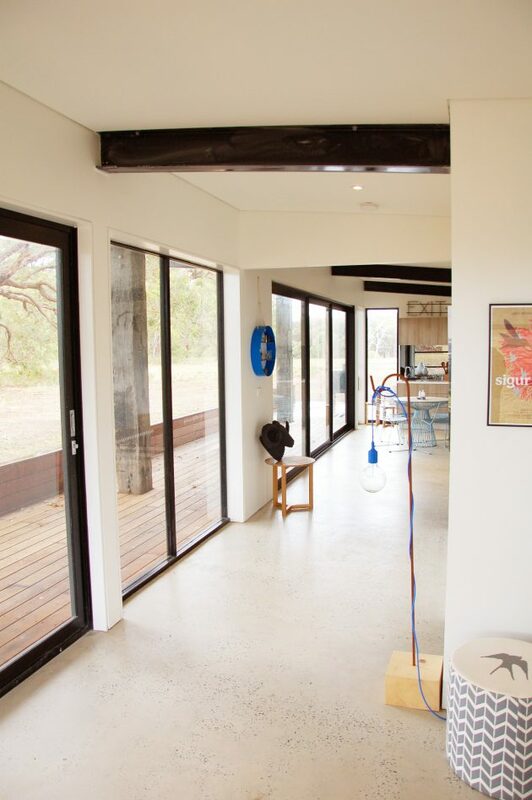 The Über Shed is a new work-shed / rural retreat on Victoria’s Mornington Peninsula. 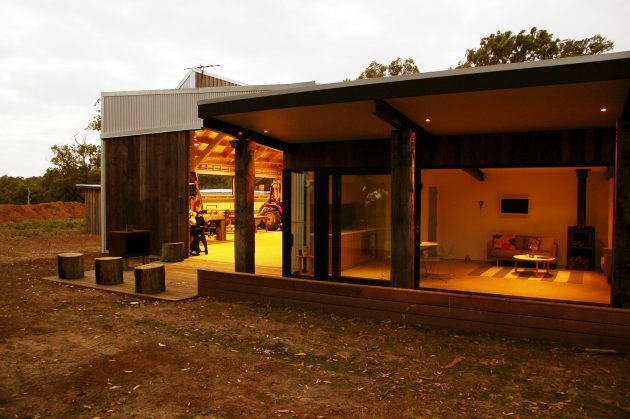 The brief was for a functional shed with a work bench area, to house farming equipment, and a simple, attached retreat with a bathroom, kitchenette and sleeping area. 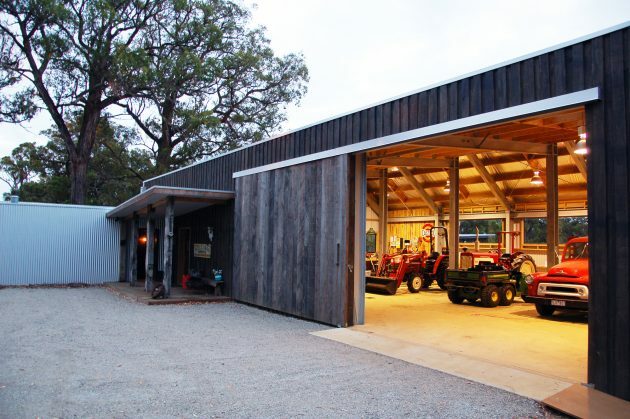 The client wanted a practical shed for their farm which also included an area he and his family could use when coming to the farm for the day or short visits; an uncomplicated and aesthetically pleasing space which had both the pragmatism of an outbuilding and the appeal of a living space. 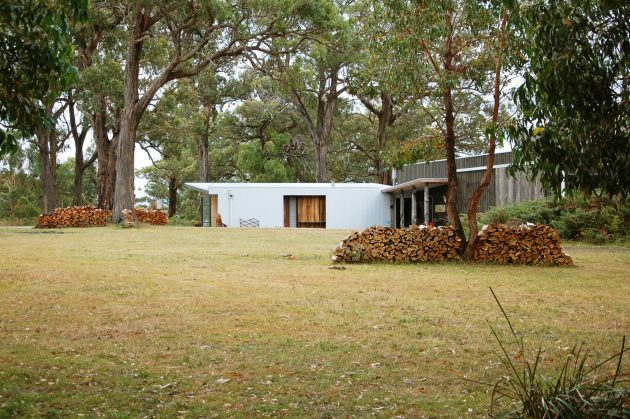 Furthermore, it had to be sympathetic with, and take advantage of, the amazing surroundings of huge gum trees, native ferns and amazing views looking over the Peninsula.